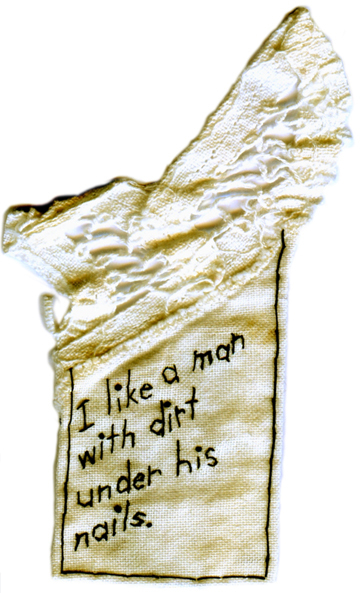 “I Like a Man with Dirt Under His Nails.” 2012. Embroidery on antique textile. 3.75″ x 2.25″.